San Diego County is a wonderful place to live, but it is not immune from some dangerous diseases that commonly infect unprotected pets. Therefore, Aviara Animal Health Center strongly recommends that you ensure your pet is up to date on his or her vaccines. Vaccinations are not only safe and effective; they are an important and fundamental piece of your pet's preventative healthcare plan. Advances in veterinary immunology have made diseases that once were relatively common and fatal to pets easily preventable. There are also vaccines—such as for rabies and other zoonotic diseases—that help protect your family from very dangerous and difficult to treat illnesses. Additionally, with each passing year, veterinary science is improving on existent vaccines as well as increasing our ability to prevent an even wider array of contagious diseases. We also offer a vaccine designed to protect your pet should he or she be bitten by a rattlesnake. This particular vaccine is intended to protect against the venom of the Western Diamondback. It is not unusual for a dog or cat to find its way outdoors without its owner to explore the world for an hour or so and then find its way home for food and warmth. However, all too often a pet that has run off fails to return home. This is a terrible situation and we have all seen the sad lost pet notices posted on telephone poles and elsewhere. This begs the question: How would you find a lost pet if its tag is lost, has become unreadable, or if you are traveling? The sad fact is that getting lost is the number one cause of pet death. A broad range of studies have shown that more than 10 million pets get lost each year and about 90 percent will not be returned to their owner unless they have some form of permanent lost pet identification. This is why Aviara Animal Health Center views microchip lost pet IDs as a standard of care for all of our feline and canine patients. With a microchip, your pet can be identified quickly and easily by animal control officers, shelters, or veterinary hospitals. Microchips are safe, unalterable and permanent identification for pets. Aviara Animal Health Center uses the HomeAgain microchip system, which is quick and painless (the microchip is approximately the size of a grain of rice). The entire procedure is similar to a vaccination and takes less than 10 seconds. The HomeAgain ID system uses microchips that register the animal with a unique identification number that is filed in a database with important contact information. This information can be updated at any time. HomeAgain membership also offers benefits such as proactive pet recovery and free access to ASPCA Poison Control (normally $60 per call). HomeAgain also comes with a number of very useful services to pet owners such as their National Pet Recovery Database, Lost Pet Specialists, Rapid Lost Pet Alerts, Lost Pet Medical Insurance, Travel Assistance for Found Pets, and more. Additionally, HomeAgain uses technology that is standardized around the world so that your pet's microchip can be read at shelters in a number of countries. If you are a first time or long time pet owner, this is a very exciting and fun time for you and your new friend. Aviara Animal Health Center looks forward to helping protect the health and well-being of your new pet as well as helping to create a strong and enduring bond between you and your new pet. First and foremost, we will help build a bond between you and your young pet by offering advice on how to train him or her to live in your home. Puppies need to be paper trained and then learn how to let you know when they need to go outside. Kittens need to be shown how to use a litter box. Both puppies and kittens need to be taught not to roughhouse or claw at furniture and behave well around strangers and so on. Aviara Animal Health Center's veterinarians and staff are very experienced at introducing a new pet into the home and will provide you with valuable tips. 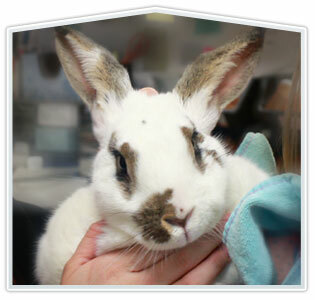 Wellness exams and vaccines are also very important to your new pet's long-term health. Wellness exams—the equivalent of a human checkup at the doctor—should be given at appropriate developmental milestones. Vaccines should also be spread out through the first year in order to assure your pet's immune system has time to recover from each vaccine challenge. Your puppy or kitten will also need spay or neuter surgery unless you plan on breeding him or her. These surgeries are safe and relatively easy to perform, and we will advise you on when the time is right for your pet. We also will need to test and protect your pet from internal parasites as well as start flea, tick and heartworm preventives. To help make these wellness services available to our clients, Aviara Animal Health Center offers them as a package deal at a considerable savings as compared to when they are purchased individually. 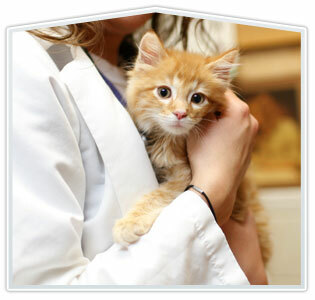 Additionally, the wellness visits in these packages offer a wonderful opportunity for your veterinarian to help you with a range of training and development issues. Aviara Animal Health Center believes that all pets deserve the opportunity to lead the happiest and healthiest life possible. This is why we offer our clients with pocket pets—small mammals such as rabbits, guinea pigs, rats and hamsters—a range of veterinary wellness services. Often, these animals' healthcare needs are quite unique and require a veterinary practice with the experience and expertise to provide them with the best and most appropriate care possible. For example, in the wild, many of these animals evolved strategies to conceal illness or injuries as a survival technique. These tendencies continue in domestic exotic and pocket pets, which mean their medical problems often go unnoticed. 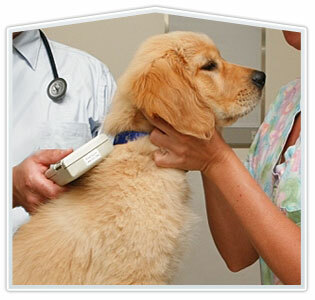 After acquiring your new pocket pet, a complete veterinary examination is also strongly recommended. This exam includes a thorough physical examination, nutritional consultation, and disease screening and laboratory testing if necessary. Pets are living longer, healthier lives than ever before and a big part of that is due to our expanded knowledge of the importance of proper nutrition to overall health. In fact, nutrition is the biggest health variable controlled by a pet's caregiver. This fact is not lost on the doctors of Aviara Animal Health Center. During your pet's comprehensive physical examination we evaluate his or her body condition and give recommendations based on what we see. For most pets, our recommendations will include information on proper serving size and other feeding strategies to maintain optimal body weight and nutritional health. We will also help you wade through the claims made by pet food producers so you can make the most informed choice. For example, dogs and cats are healthiest when they eat the whole, natural foods we would eat ourselves: USDA-inspected chicken, turkey, and lamb, whole grain rice and barley, fresh fruits and vegetables, and Grade A dairy products. By eliminating the cheap filler ingredients and low-grade proteins that are so common in commercial pet foods, the main foods that we sell are more dense and richer in nutrients without added bulk. This means that your pet gets more nutrition from less food, with calories and fats in each formula balanced to fit the needs of your specific dog or cat. 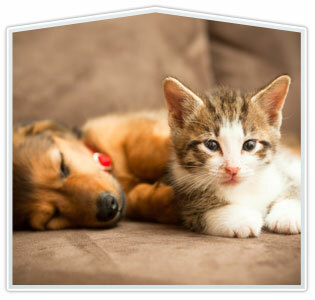 However, some pets have more serious nutritional challenges or chronic conditions that can benefit from a special diet. 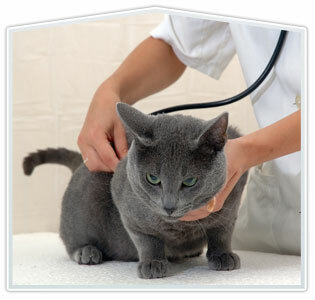 If we identify an issue in your pet, we will offer advice and provide information about diets that benefit specific medical conditions such as liver disease, bladder and kidney stones, renal failure, food allergies, diabetes and other conditions. 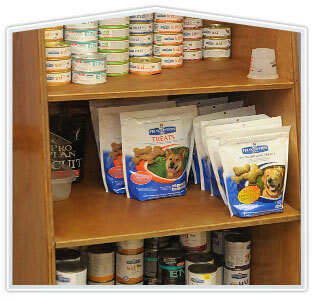 Aviara Animal Health Center carries a diverse inventory of prescription foods and high-quality nutritional products. If your pet requires a prescription diet we do not carry, we can easily order it for you. Aviara Animal Health Center has the tools and expertise to diagnose and treat a number of medical conditions commonly referred to under the umbrella term: Internal Medicine. In general, internal medicine covers the function of your pet's internal systems and refers to diagnostics and treatments used to cure or manage disease as well as to prevent the occurrence of disease in the first place. To prevent disease, your veterinarian will personalize wellness exams and testing to the type and breed of your pet as well as its health status and lifestyle. Should your veterinarian notice any sign of heightened risk of disease, we will discuss a preventative care plan with you. Ensuring our clients have convenient and timely access to competitively priced medications for their pets is an important aspect of our veterinary practice. More than ever before, medications play an important role in helping cure a sick animal, relieving pain after an injury or surgery, and managing chronic conditions such as arthritis and diabetes. Without these medications we would see higher mortality/morbidity rates, shorter lifespans, and degraded quality of life in our companion animals. 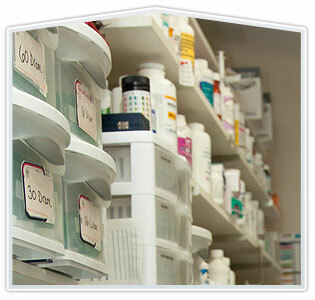 Aviara Animal Health Center maintains a comprehensive pharmacy within our practice and is able to quickly access any medication that is necessary for the care of your pet. Additionally, because we are the prescribing veterinarian, we are able to ensure there is a direct link between the exam room and our pharmacy. This means your pet will receive the right medication, at the right dose, in the right form as quickly as possible. We will also be able to easily guide you on the medication's use as well as monitor its effectiveness. Refills are easy too. Simply visit our online pharmacy or give us a call and we can either mail them to you or have them ready at your next visit. If you and your pet are traveling internationally, you're most likely going to need an International Health Certificate. To know what is required, Aviara Animal Health Center recommends contacting the visiting country's consulate or embassy. A helpful list can be found at: http://www.state.gov/s/cpr/rls/fco. International Health Certificates are issued by USDA-accredited veterinarians only and must be endorsed by the state's USDA Veterinary Services office. The state veterinary services office oversees all export documents for pets departing from the US, and ensures that the veterinarians issuing the documents are accredited and have filled out the forms with accurate information. Dr. Ben Singh is USDA accredited, and can provide international and domestic health certificates, and our staff will walk the client through the process and ensure they have all the requirements. For additional questions concerning requirements for travel, please visit the US Department of Agriculture website at http://www.aphis.usda.gov/travel/ for a complete list of travel regulations and alerts. 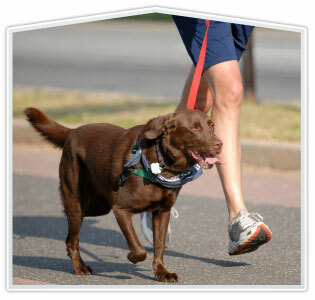 You can also find a list of pet-friendly hotels at www.petswelcome.com.